In order to create certain products, a combination of blending or mixing must be administered. Whether they’re dairy products, foods or chemicals, they all typically consist of a mixture of ingredients. However, as you likely know, the aforementioned don’t become end products just by manually mixing different dry and liquid ingredients. Not only would that be inefficient, but it would also be problematic. That's where mixing and blending equipment come into play, as these machines permit processors to create large quantities of product in an efficient and accurate manner. Think of your home countertop blender. While you use this to process liquids - and usually not dry powders - the process is similar. To make certain drinks in the blender for instance, you're likely adding milk, fruits and more to it, then punching the button to create a homogenous end product. Powder mixers work similarly to that of your home blender, just on a much larger and more advanced scale. Just as how the blade within the home blender works as the agitator to help create the final product, there are a number of different agitators that are typically used in powder mixing equipment that are designed to perform a similar role. Chemical processing: Whether it's fertilizers, specialty chemicals or both liquid and powder detergents, mixing may be the most important aspect of the chemical processing field. Pharmaceutical: Combining various different products to create medicine and drugs is often performed by blending for pharmaceutical purposes. Food: Cake mixes, rice, spices and flavoring are common examples of mixing and blending involved in food processing. While there are many different types of mixers, there are a few broader styles that they are associated with. For instance, many mixers are classified as "continuous," as they are able to operate efficiently, and their final processed product is not limited to just batches of product. For processing plants that are aiming to improve their output or grow their operations, a continuous mixer is an absolute must have. Shear blending and inline induction are other techniques and processes that can help with the blending of materials. Ribbon blenders: Ribbon blenders are ideal when mixing powder and granular ingredients is necessary. For this reason, these types of machines are common in the food industry, especially when it comes to processing food in bulk quantities. Ribbon blenders get their names from the pattern that describes their blades, as they resemble that of a ribbon. Paddle blenders: Just like ribbon blenders, paddle blenders are often characterized by the paddle-like blades that help process material. The paddles work by moving product from the bottom of the machine's trough and into the product stream. Because of the way that paddle blenders work, they're ideal for mixing product that is dissimilar in size and in shape. It's also worth noting that "hybrid" blenders exist that combine the paddle and ribbon blending styles. Twin shell (V-Blenders): Twin shell blenders, also commonly referred to as "V-blenders" for their V-like shape, are used to mix solids with solids and solids with liquids. 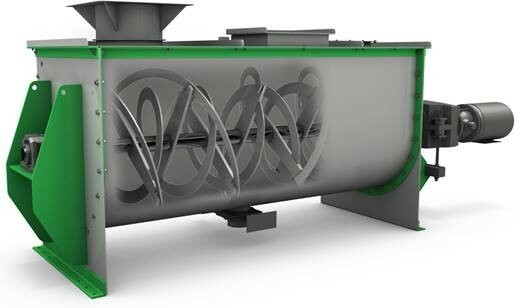 The machines consist of two blending shells (one on each side of the V) that are then connected and come together at the tip of the V. Because of the V shape, twin shell blenders are able to perform very efficient blending. This is especially true when you consider the fact that the V chamber rotates as it works, which makes blending all the more thorough. Double cone: When it comes to blending flowing solids, double cone blenders are used almost exclusively for such purposes. Like the twin shell blender that we mentioned above, the solids that are being processed in the double cone blender are constantly mixed as the machine rotates for up to about 10 minutes a cycle. Double cone blenders are available in a variety of different sizes to allow processors to best select the unit for the application they are working to process. Zig zag blenders: Zig zag blenders are a style of continuous blender that's able to process liquids, solids and slurries. Designed for high volume production, zig zag blenders are ideal for gentle and more intimate processing. Zig zag blenders get their name, as the machine takes on a winding pattern to process the product inside of it. Nauta mixers: Nauta-style mixers are ideal for processing both solids and paste materials. These mixers are considered to be "connective" and work by gently mixing the material using only a small amount of heat. Because of the mixing style, there's little to no end product distortion. Another big advantage of the nauta mixer is that it is very economical. It uses very little power compared to the vast amount of material it is able to process at a time. 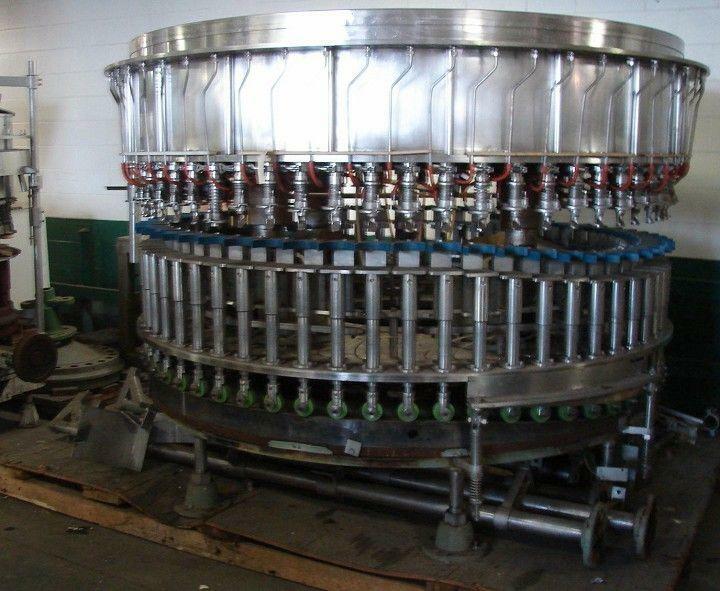 Horizontal shaft mixers: These mixing systems typically operate with either paddles or ribbons. They work, as the name implies, in a horizontal manner and are typically deployed for heavy-duty blending, such as spices, concrete and other wet and dry materials. 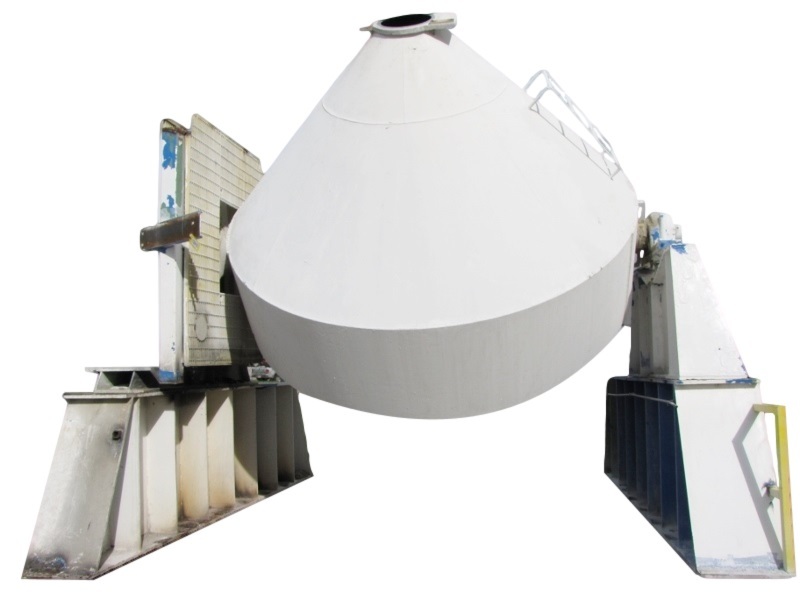 Tumble blenders: Twin shell blenders are an example of a tumble blender, in that these types of mixers operate at fairly slow speeds and use diffusion for mixing solids. Vertical screw mixers: These types of mixers use heat and friction to help achieve the end result. Unlike horizontal mixers, these machines work vertically and these are also typically very large pieces of machinery. What type of mixer is right for your processing facility? For more information on the various different types of powder blending equipment and accessories, and to enter your bid for a piece of quality used equipment, contact Bid on Equipment today. Packaging is a complicated business, with many moving parts along the way needed to get the product out of the factory and into the store. At the very beginning of the process, there’s the actual creation of the product, a process known as “converting.” During this step, raw materials are converted into the actual package, whether that package is a bag, pouch, bottle, jar or some other sort of corrugated container. After the converting step, the package goes through numerous other stages. It may be printed and laminated. It will likely be formed, filled with product and then sealed. And then after this, the packaging company will send the product either to its customer or to the store. Yes, there are a lot of steps in the packaging process. And each and every step must be running to its full potential in order to keep operations on track and ensure on-time delivery. With that being said, anywhere that a packaging company can reduce lead time and improve efficiency must be considered. And while many packaging companies focus on improving operating efficiency and reducing downtime early on in the packaging process, certainly the very end of the line can’t be ignored. And that’s what brings us to case erectors, which help packaging companies quickly create shipping containers to send their products in. This post will take a closer look at the important – and arguably under appreciated role – that case erectors play and how they can improve efficiency within a packaging company. Just as their name implies, case erectors are machines that stand-up corrugated boxes, or cartons. Most case erectors also seal the bottom of the carton after it is created as well, making it easier for employees to load product through the top, which remains unsealed until product is loaded. Case erectors, which sound seemingly simple, are actually rather advanced pieces of equipment. For instance, they are able to accommodate different sized and different shaped boxes, allowing packaging companies to essentially create any type of shipping container that’s necessary for their product. Most case erectors can create up to 15-20 bottom-sealed boxes per minute. Let’s say, for instance, that you don’t have a case erector. If that’s the case, then you’re likely still making boxes by hand. However, you really don’t know how tedious of a process this is until you adopt the equipment that can do it for you. Assembling boxes takes time, as they need to be formed correctly. And after that, arguably the most tedious part of the box making process is still required – taping up the bottom. Not to be forgotten as well is the fact that when you’re making boxes by hand, the size and shape of the box is limited to the inventory you – or your supplier – has in stock. That’s the big value of a case erector – increasing efficiency. Being that many case erectors can erect and seal anywhere from 15-20 cartons per minute, this piece of equipment can be a huge asset in large and in growing packaging companies that are looking to reduce downtime and streamline efficiency near the end of the packaging line. Most packaging experts agree that if your company requires more than 300 boxes per day, then a case erector should surely be a part of your growth strategy. Quick setup: While some may be intimidated by introducing another piece of heavy equipment to the packaging facility, case erectors are nothing to fret about. They’re typically far less complicated to operate and setup than many other types of packaging equipment like form-fill-seal machines, pouch lines and others. Fast changeovers: Along the packaging process, lulls in efficiency are usually the result of changeovers. Specifically, long changeover times. That said, many packaging equipment manufacturers have worked hard to reduce changeover time in their machinery, so that there’s less downtime and more efficiency in a facility’s operations. Case erectors are just one example of equipment with fast changeovers, which further helps improve efficiency. Reliability: Not all equipment is reliable, but good case erectors have a reputation of being not just reliable, but long-lasting. Common troubleshooting with case erectors – and many other types of packaging equipment – have to do with machine jamming. But, as we said, a quality case erector will work reliably and efficiently. After all, if you purchase a piece of equipment that is supposed to further streamline operations and it winds up jamming excessively, you’re negating any efficiency benefits that you were getting in the first place. Better carton assembly: Most case erectors work with specialty tapes and other quality reinforcement materials that actually contribute to the making of a better overall carton compared to if you were to assemble the carton by hand. This makes case erector-made cartons an ideal piece of equipment for creating boxes for just about any type of product. Product protection: To piggyback off of the above point, a better overall constructed carton will also ensure that the product that goes inside of it is also better protected. This is a big plus, as when it comes to your end product, as it’s really only as good as it is when it arrives at its destination. So, for instance, if you’re creating a good product, but it becomes damaged during the shipping phase, you’re going to have an unsatisfied end user, which can greatly harm your overall reputation. Bottom line – a better overall carton means a better overall product when it arrives on the truck. Small footprint: Plant managers won’t have to worry about case erectors taking up a ton of space in their facilities. That’s because most of today’s case erectors have a small footprint, meaning they can be tucked into confined spaces or integrated more seamlessly into a particular area. Low-cost investment: Compared to other types of necessary packaging equipment, case erectors are fairly low cost – a fact that makes their return on investment even more notable. However, being that this is a piece of heavy machinery, there’s still an expense associated with it – an expense that many companies may not have in the budget. That’s where purchasing a case erector previously owned, from a site like Bid on Equipment, comes in handy. This way, you can get a like-new machine at a used price. It’s hard to properly gauge the true value of a liquid bottle filler, or liquid filling machine, until something happens to it and you’re without one. If that’s the case in your packaging operations, you really have two choices – halt operations until a replacement is acquired or until repairs are made and it is back up and running or go about filling the bottles by hand. And if you were to choose the latter option – filling the containers by hand – then we’re betting you’ll really come to appreciate the role your filling machine plays within the facility. 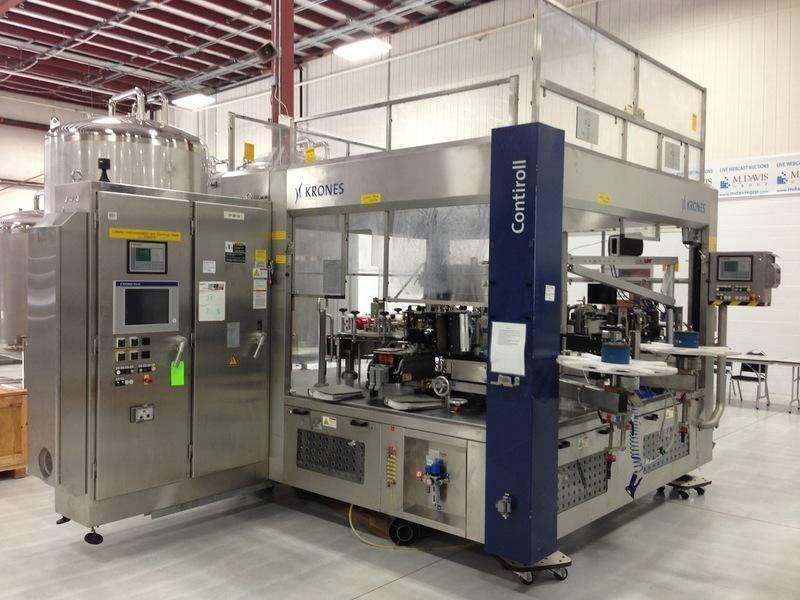 Yes, filling machines are a critical component in the packaging process. They help pack a lot of different products, from milks and juices to oils and lotions. And they operate quickly and effectively, keeping business on track so that the end product gets to where it needs to be when it needs to be there. Oh, and liquid fillers are also able to accomplish this filling without spilling the product everywhere. Now, just for a moment, picture life without a filling machine. It’s a life where you need to manually fill the bottles or containers along a conveyor line. Not only are you likely to spill product all over the place (no matter how careful you try to be) but you’re also likely to have bottles and containers with different levels of product. Perhaps you can live with the spillage and tolerate some minor differences in product levels – the biggest area where liquid bottle fillers shine has to do with efficiency. Liquid fillers work automatically and quickly, much more quickly than it would be if an individual took matters into their own hands. While the benefits of liquid fillers are well documented, it’s worth noting that there are several different types of filling machines. Two of the most popular are those that work via gravity pressure or positive displacement. This post will take a look at each of these filling technologies. Gravity fillers are generally a low-cost filling option. However, they best work with thin liquids that don’t change in viscosity when subjected to different temperatures. As the name implies, gravity fillers work by distributing product from above the container. One benefit of gravity fillers, when compared with other types of filling technology, is that they can operate without the use of any specialized nozzles. In fact, most gravity fillers can be outfitted with a variety of filling nozzles pertaining to either the package that needs to be filled or the product that it needs to fill with. Some gravity fillers are also able to accommodate multiple heads to maximize filling of multiple containers at once. Gravity fillers are applicable to many different types of liquid products, ranging from the food and beverage markets to cosmetic, pharmaceutical and specialty chemical. Gravity fillers are also able to effectively work with hazardous liquids, such as those that are flammable and corrosive. Positive displacement fillers, which may also be known as “servo pump fillers” or “pump filling machines,” operate using a pump to distribute product to the container. Unlike the gravity filler, positive displacement fillers are better suited to work with more types of liquids, which make them an ideal choice for filling containers with the likes of pastes, creams, gels and more. Although positive displacement fillers are more expensive than many other types of filling equipment, they’re an ideal purchase for the contract packaging company who works with a bevy of different customers in various different markets. That’s because the versatility of the machine makes it applicable for just about any liquid with the ability to fill any product. There are, however, some key disadvantages to the positive displacement filling machine, one of which we already mentioned here – its higher price point. Yes, these types of fillers aren’t cheap, and neither are the drive systems that help the pumps work. What’s more is that it takes quite a bit of technical know-how to properly maintain these types of fillers. So unless you or someone on staff is cut out for properly caring for and maintaining this type of filler, you’ll need to set aside some funds for a professional to come in and service it from time to time. It’s also worth mentioning that there are a few other types of fillers. For instance, overflowing filling machines are ideal for products that produce foam and for products that are thin to medium in viscosity. Applicable liquids that are packaged in clear containers are almost always filled on overflow machines, as such machines excel at filling to exact level, which is crucial when you’re dealing with transparent packaging and the customer can tell the difference. Another type of filler is a piston filling machine. Specifically, these machines work with high viscosity liquids and are able to process said products in higher volumes than other types of filling technology, which can be advantageous with the likes to tomato sauce and jelly. So which filler is right for you? Certainly it depends on what types of containers you’re working with and what types of products you need to fill them with. For packages like water bottles, for instance, a gravity filler may work out just fine. But if you’re filling containers with soaps and pastes, a positive displacement filler may be necessary. For other, more high viscosity products, a piston filling machine may need to be a part of your facility’s purchasing plans. In some cases, just one type of liquid filling machine may not cut it and you may need to acquire multiple types in order to support your client base. Whatever type of filling machine you decide on, one thing is for sure – this equipment can be expensive to acquire. And this can be problematic, especially if you’re dealing with a positive displacement filler that may require a bit more maintenance or may fail prematurely if proper care isn’t taken of it. 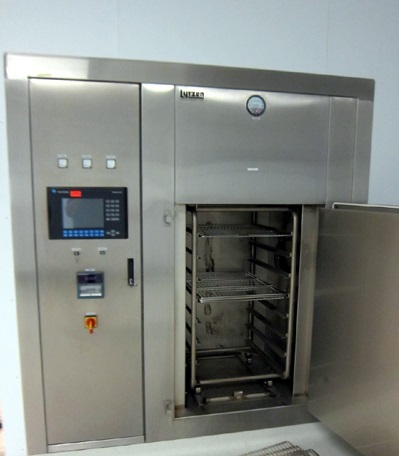 When it comes time to acquire a new filling machine or add another one to your operations, you can elect to go the brand new route or you can purchase a used machine. Outlets like Bid on Equipment specialize in acquiring used machinery and selling them so that its customers can get like-new equipment at a used price. Often times, this can be the financial relief that companies need to continue their business without interruption. 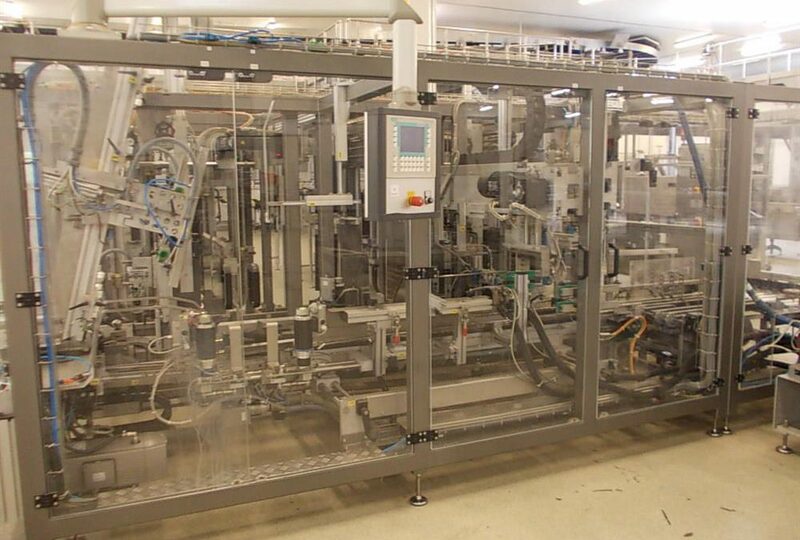 For more information on liquid filling equipment, and to browse Bid on Equipment’s filling equipment inventory, contact Bid on Equipment today. What happened to those Supplies? Several weeks ago, we launched a pilot project to start offering Packaging Supplies via Bid on Equipment, but we ran into a few unexpected issues and decided it was best to take a step back and reevaluate. After ensuring that all existing orders were completed, we took down those pages to give us a chance to work through the issues we identified and ultimately provide you the best service that we can. We apologize for any inconvenience this has caused. Powder blending is crucial for many reasons. In the food industry, powders need to be blended to form the right ingredients or to provide the correct flavor. In the agriculture field, blending is required to mix the appropriate nutrients for fertilizers. Blending is also extremely important in the pharmaceutical industry, as it helps to create medications to treat various conditions. Additionally, powders are blended for the purpose of coating certain products or materials, for the purpose of improving product quality or to alter current properties of materials, among others. Powder blending is nothing new or revolutionary. In fact, it’s among the oldest unit operations in solids handling. What is new, however, is the technology and equipment that continues to evolve for powder blending purposes as designers and engineers better understand what types of powders need to be blended and address challenges or equipment shortcomings accordingly. As you may imagine, there are several different types of blending, which all boils down to what types of powders need blending and what the end application is. There are three basic types of blenders. These are classified as small-scale random motion (also commonly referred to as “diffusion”), large-scale random motion (also commonly referred to as “convection”) and shear. As the name implies, diffusion blending works with smaller particles and occurs when said powders are distributed over a fresh interface. Diffusion blending is important when high homogeneity is desired. It’s also a rather slow blending style. Conversely, convection blending works with large particles and uses an impeller or similar instrument to move particles from one point to another. Convection blending is ideal for cohesive materials, and this type of blending also enables liquids to be added during the process. Finally, there’s the shear style of blending, which incorporates additional materials, such as granules, to help the blended mix reach a certain level of consistency. Now that we’ve briefly gone over the different types of blending, it’s worth pointing out some of the more popular solid-solid blending equipment. The three most popular are ribbon blenders, tumble blenders and vertical blenders. In this piece, however, we’ll focus more on what is involved in tumble blending and ribbon blending. Tumble blending and ribbon blending are two of the most popular types of blending for solid-solid mixing purposes. Ribbon blenders, specifically, are a good example of high-speed convective blending in that they’re able to move large particles from one point to the other and in a very fast manner. Ribbon blenders typically consist of a U-shaped trough and an agitating device that consists of several ribbons, which thereby work to move material in various directions. These ribbons are fast operating, with the potential of reaching 300 feet per minute, or fpm. These ribbons move powder in both radial and lateral directions. Ribbon blenders are available in both vertical and horizontal configurations. Tumble blending, on the other hand, is best for materials that require low impact. Specifically, tumble blenders are rotating mixers that are often available in several configurations, two of the most notable being double cone and V-shaped. Often times, these configurations are also interchangeable. Tumble blenders operate somewhat slowly, usually at speeds of anywhere from 5 to 25 rpm, or revolutions per minute. They work via the diffusion style, which, as we covered earlier in this piece, blends smaller particles. But how do you know which one is right for you if speed of powder blending isn’t a huge issue and the blend you’re dealing with would suffice in either application? Here’s a look at some further considerations to help you make the choice between tumble blending and ribbon blending. Tumble blenders are generally larger than ribbon blenders, especially vertical ribbon blenders, which take up the least amount of room on a plant floor. So if space is at a premium in your shop, know that a vertical ribbon blender will likely be the best option. Generally speaking, tumble blenders are the types of mixers that take up the greatest amount of space. Do you need the blender to discharge completely? If that’s the case, then the tumble blender is your best bet, as such mixers discharge near 100 percent. When it comes to producing the highest-quality, lump-free blend, ribbon blenders are the ideal mixer. That’s because the high speeds at which the ribbon blender works at ensures that the product it is processing mixes efficiently. While you can purchase and install lump breakers or the likes of choppers on any type of blender, ribbon blenders are still a cut above the rest when it comes to producing lump-free. Heat or no heat? Ribbon blenders generate more heat than other types of blenders, so this should be a consideration when selecting a blender. However, it’s really only a problem for heat-sensitive applications, as the increase in heat is not significant. Capacity: Ribbon blenders usually only work effectively with powder batches that take up at least half of its capacity, which can be an issue if smaller quantities of product need to be processed. Tumble blenders, on the other hand, usually work just as well when they’re at 10 percent capacity as they do when they’re at 100 percent capacity. Cost: Cost is always a big consideration behind the purchase of new equipment. When it comes to the cost of blenders, they can range from several thousand dollars to tens of thousands of dollars, certainly no small drop in the bucket for companies. Ribbon blenders, however, are considered the most affordable blender compared to other mixing equipment. Now’s also a good time to mention that if you need a blender, you don’t necessarily have to buy brand new. You can buy a previously owned blender, which you can find on a site such as Bid on Equipment and receive a like-new piece of equipment at a used price – no matter whether it’s a ribbon blender or tumble blender. Though we’ve mentioned many differences between tumble blenders and ribbon blenders, it’s worth mentioning one significant commonality – and that’s blending accuracy. Specifically, both are very good at doing their jobs and creating a well-blended end product when they’re used under the appropriate circumstances. So while it’s important to note the differences between tumble and ribbon blenders, rest assured that each do their job very well when used with the right powders. For more information on tumble blenders, ribbon blenders and all other types of blending systems – and to browse available equipment currently in stock – visit Bid on Equipment today. Just as the name implies, a heat exchanger is a piece of equipment that transfers heat, usually between one or more fluids. Heat exchangers are ideal devices that are commonly used in refrigeration, air conditioning units, power stations, sewage treatment, gas processing and even when it comes to regulating engine cooling in internal combustion engines. Heat exchangers are classified by how they operate, however they’re typically categorized into three main types – shell and tube heat exchangers, compact heat exchangers and air cooled heat exchangers. The shell and tube heat exchanger type is the most popular, as it’s estimated that over 50 percent of all heat exchangers currently in operation today are of this variety. However, in some applications, it makes more sense to go with one of the other types. Before we get into more concrete advice on how to choose a heat exchanger, it’s first important to note the major differences between the three main types. Shell and tube: As we noted, these are the most popular type installed – and they’re also the best understood. They’re versatile in the service that they can provide across a span of applications and work at a wide range of pressures and temperatures. Shell and tube exchangers are also made to last, and are normally able to withstand rugged environments. Compact: Compact heat exchangers are a more affordable option, available in a wide variety of configurations. They enable high heat transfer coefficients (up to 3 times greater than what is permitted by a shell and tube exchanger) and also permit high temperature crosses to be achieved. What’s more is that, fitting to the name, these heat exchangers have a small footprint and are easier to be installed in confined spaces. Air cooled: Air cooled heat exchangers are ideal options for applications that involve cooling water or applications where cooling water is expensive. A big benefit of these types of heat exchangers is that they have low operating costs and normally require less maintenance compared to other models. However, they’re considered the most expensive of all heat exchangers. Total lifecycle cost: The total lifecycle cost of a product, let alone a heat exchanger, includes the initial purchase price, the installation cost, the operating cost and maintenance costs until the product is not used anymore. So, for instance, if a company decides to purchase a compact heat exchanger because they’re generally cheaper and can be installed easier, the may have to weigh the fact that it may cost more to maintain due to the thin nature of wall thicknesses of compact models. Conversely, while shell and tube heat exchangers are generally more expensive, their rugged build helps them stand up better over time. Air cooled exchangers have a high initial purchase price, but are relatively inexpensive to operate and maintain. These are all factors that must be considered when weighing total lifecycle cost. Application: What role does your heat exchanger need to help perform? Boiling? Condensing? Something else? This is a huge consideration, as the application will, in most cases, dictate the type that you need to best accomplish the task at hand. Operating pressures/temperatures: What type of temperatures and pressures is the heat exchanger intended to work with? That’s a big question to ask, as it will dictate your selection. Durability: Depending on the application, the heat exchanger may have to do its job in some very demanding conditions. If that’s the case, it’s important to consider an exchanger’s durability and reliability. 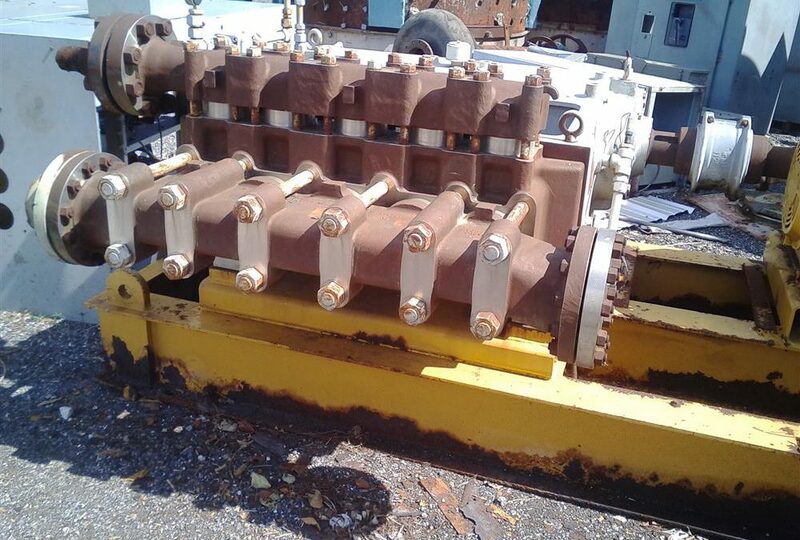 For instance, as we noted above, shell and tube exchangers are usually very rugged in build and able to stand up well in demanding environments, compared to compact exchangers, which are normally made to be less durable. Footprint: What type of space are you working with? Is it a large space? Or do you need something that will fit in a confined space? That will also largely dictate your heat exchanger selection. Compact models are small and able to fit in a more confined area, while air cooled models require a large space. Shell and tube heat exchangers are on the larger side, but generally more versatile in terms of installation space required. Accessibility: How easily will the heat exchanger be able to be reached for the likes of cleaning and maintenance? Despite the reputation of some heat exchangers being more durable than others, routine maintenance is almost always key to longevity. Operating specs: This goes along with application, but it’s important to know exactly what you need your heat exchanger to do, and what temperatures and pressures it needs to be able to withstand in order to do it. Operating specifications are a big reason why the shell and tube heat exchangers are the most popular – they’re able to work across the widest variety of temperatures and pressures. Other considerations: Other considerations on how to choose a heat exchanger include things like the fouling characteristics of the fluid, any utilities that are available (i.e. cooling towers, steam, etc. ), potential for future expansions and the impact that the heat exchanger has on the overall environment. Another big consideration is cost, as heat exchangers aren’t cheap, especially those of the air cooled variety. Though essential to the operations of many facilities worldwide, heat exchangers may put plant managers in a bind if one of their units prematurely fails or needs extensive repair. If replacement isn’t in the budget, what can you do? That’s where a credible site like Bid on Equipment can help, as the service provider collects pre-owned industrial equipment and puts it back on the market for sale. Think of it like getting a functional, like-new product at a used price. It’s these lower price points that can do wonders for a company. 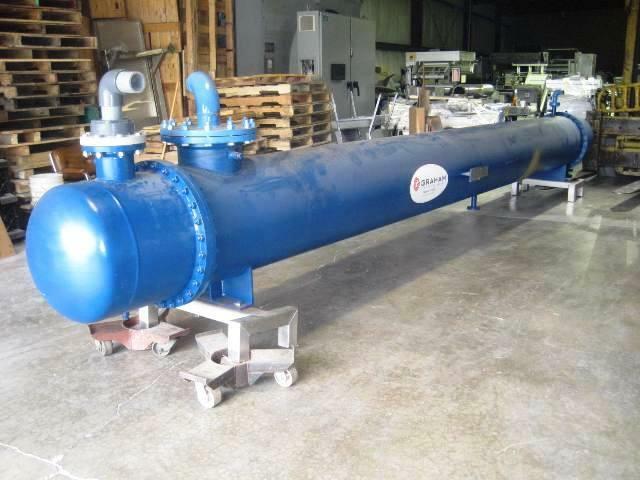 For more information on heat exchangers, and to browse Bid on Equipment’s selection of this equipment, contact us today.